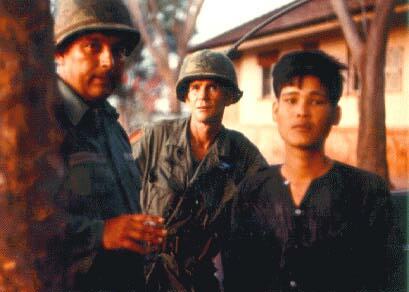 "Drafted on December 20th, 1965, Jim was immediately assigned to the 4th Infantry Division in Fort Lewis, Washington. 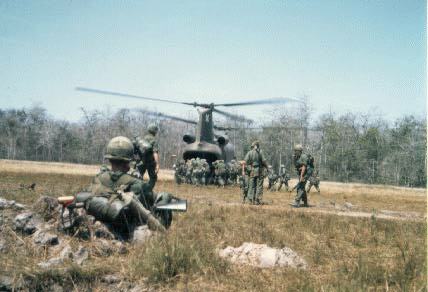 The division transferred to Vietnam as one unit in September of 1966. Jim's trip was a 21-day voyage by ship. Following about six months in an infantry platoon, Jim transferred to a headquarters company and lugged a radio in the bush for various company and platoon leaders for three more months. 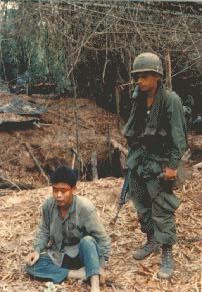 Three months later, Jim was among many transfers to the 25th Infantry. 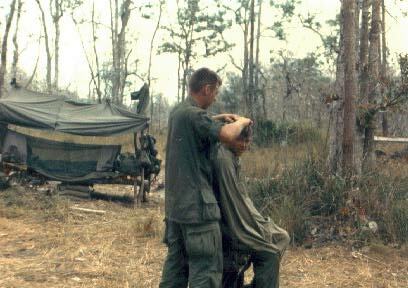 Stationed at a small firebase several miles outside of Cu Chi, Jim enjoyed a relatively quiet last three months in country providing mortar support for field units. Jim is a professional photographer in Hudson, Massachusetts and has two sons and six grandchildren. He would love to get email from you." Even in country, we had our entrepreneurs. 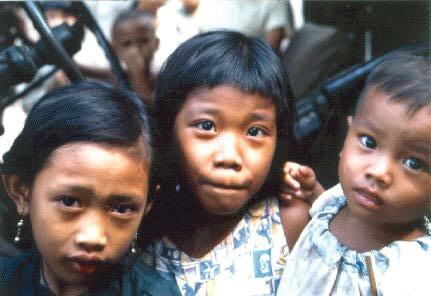 I recall paying something like 75 cents for a haircut. Our commanders would bring us cold beer and soda with our ammunition whenever they could. 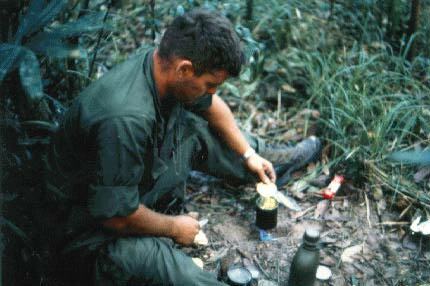 Gerry Rich from Augusta, Maine, heats his rations over a fire of C4 explosives. A pea-sized roll of this stuff used to heat a can of turkey loaf in under a minute. 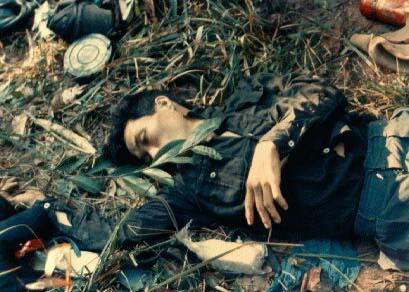 Taken somewhere in the vicinity of Cu Chi. 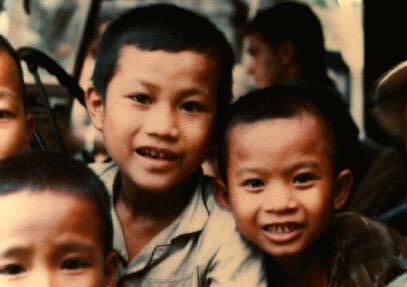 The children were fascinated with cameras and were great "hosts" for us. Second to the bad times, the kids left me with the most memorable memories. 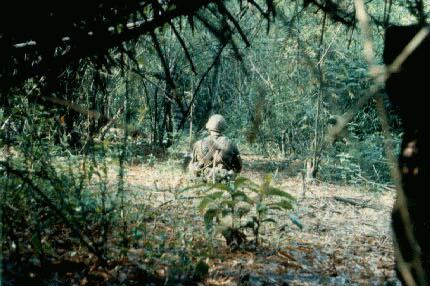 During a break in our jungle march, some of us provided sentry guard while the rest of us ate. More terrific kids ... made some of my days bearable. 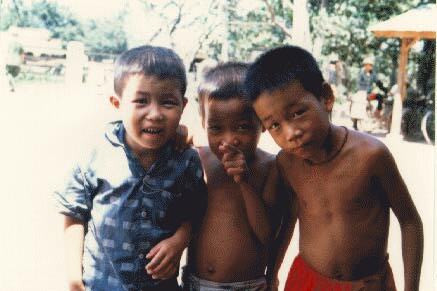 I recall having a great time with some of these kids who wanted their pictures taken. Some were Russian and some were US made. 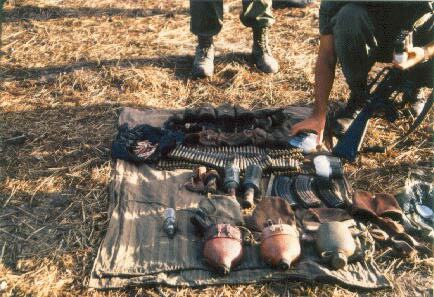 I remember the feeling of capturing US-made weapons from the VC, wondering how they were acquired. 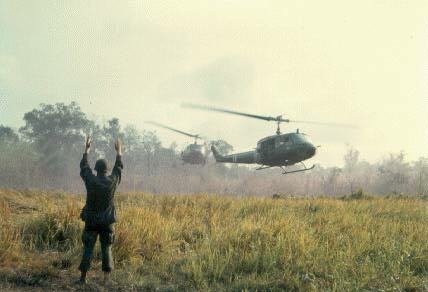 My personal, most memorable image -- always brings a lump to my throat. The word homesick developed meaning to me in country ... having never before been away from home for even a day ... and I recall my tent mate choking back the tears while he read his letter. It's like looking in a mirror. 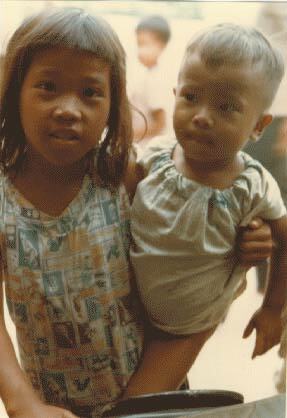 It was not uncommon to see a young girl, no older than seven or eight, carrying an infant sibling around on her hip. Waiting for transportation to a new zone. This man could not be coaxed out of the tunnel by our translator ... until we finally had to throw a grenade in the hole. He came out with a scratch on his head and one on his foot ... having hid in a side cut in the tunnel. I recall asking one of my friends to take this shot of me with our recent detainee while he was being interrogated. 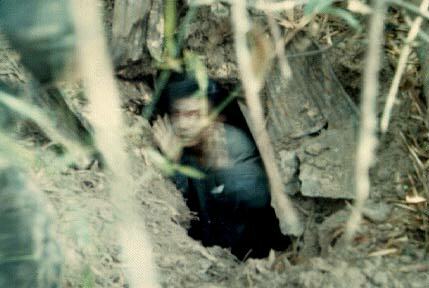 This is the follow-up picture of "POW Out Of The Hole." I know I was pretty young, but this young man looked all of 17. They walked into our position in the middle of the night. Mixed emotions as we found family photos in his wallet ... a wife and small child.